The City’s relationship with the Armed Forces of the Crown is probably as old as the Monarchy. The City has ever been a source of taxation for Kings keen to pursue foreign wars, not to mention a source of manpower and material for the Army and Royal Navy. It is no coincidence that the City has Livery Companies for such warlike crafts as the manufacture of Bows, Arrows, Hand guns and Armour. In times past the Livery Companies would have been responsible for providing men and equipment for the City’s Trained Bands - what we might now consider the Army Reserve. Among the Lord Mayor’s many offices is that of President of the Reserve Forces' and Cadets' Association for the City of London. He is also the only commoner entitled to a military bodyguard in the form of the Honourable Artillery Company’s Pikemen and Musketeers. The City is also unique in being the only place in Her Majesty’s realms where her forces may not enter or proceed without the prior authorisation of the Lord Mayor having been sought and obtained. Certain units have been granted ‘City Privileged Regiment status’ allowing them to march with Bayonets Fixed, Drums Beating and Colour Unfurled in the City - however even this status does not confer the right to enter or proceed in the City without the Lord Mayor’s permission. 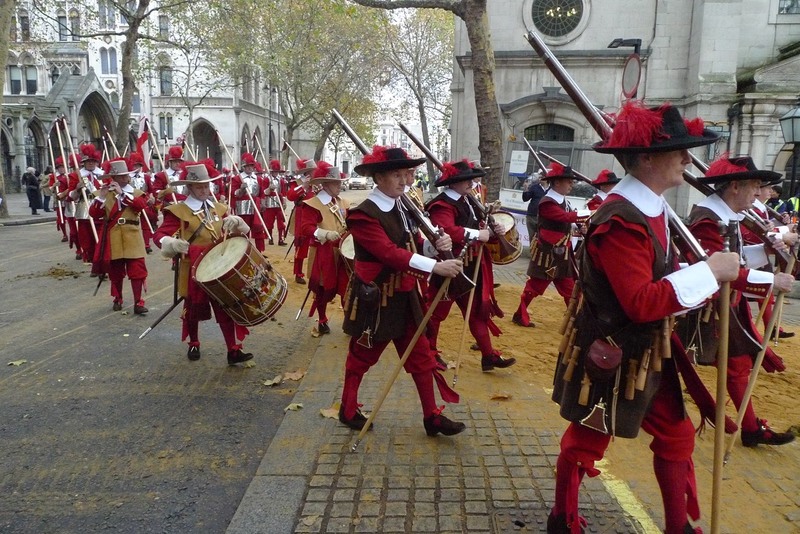 City Privileged Regiment status often gets confused and conflated with Freedom of the City of London, the latter is a legal status into which individuals (i.e., a real person) enter following a ceremony usually held in the Chamberlain’s Court in Guildhall. The Freedom of the City of London is not and has never been awarded, conferred or granted to any military unit although it is easy to understand why the casual observer seeing a regiment parade through the City of London might conclude they have been awarded the Freedom of the City of London. 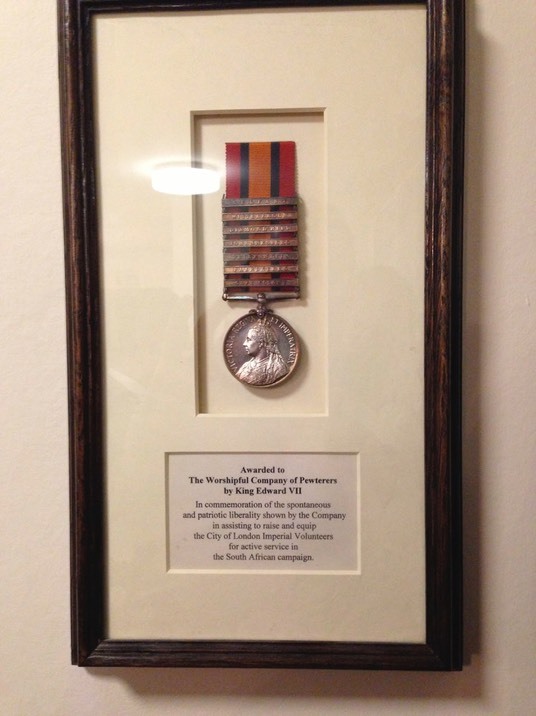 A few units have also been conferred the title ‘City of London’ by Past Lord Mayors, one example being 101 (City of London) Engineer Regiment (EOD) which has in its unit emblem the silouette of a black cat aptly named ‘Whittington'. There are many facets to the City’s connection with the Armed Forces, not just as a source of resources. The Livery Companies have a vital, and much appreciated, role in supporting numerous regiments, ships, shore bases, air stations and units in the Royal Navy, Army and Royal Air Force. The ways in which the City and the Livery Companies support the Armed Forces of the Crown are as numerous as they are diverse, but they are all important and forge bonds that have lasted for generations. Where there is an obvious trade, craft or professional relationship between the Livery Company and their associated military units the relationship will often extend to career mentorship, training, examination and awards for excellence presented by the Livery to serving members of HM Forces. In addition to the links that the Livery Companies have with regular and reserve forces units, they also support over 100 Cadet Forces units. Cadets will often form a ‘carpet guard’ at formal dinners, and the companies provide funding and expertise to their affiliated Cadet units. Learn more about the relationship between HM Armed Forces, the City of London and its Livery Companies in The City of London Freeman’s Guide.